Avoid the stress of arranging your own travel and let us do it for you! With return flights planned for you and 20kg of checked luggage when you travel with My QLD, the only thing you need to do is grab a few sets of clothes and enjoy your holiday! Spend more time enjoying the beauty of Queensland and less worrying about organising a taxi at the airport! When selecting this My QLD package, you will avoid that stress by being able to get to and from your accommodation with return airport transfers! Enjoy a free breakfast hamper on arrival! Start your day in Port Douglas with delicious locally sourced foods that will provide you with the fuel you need for a day full of activities and relaxing. 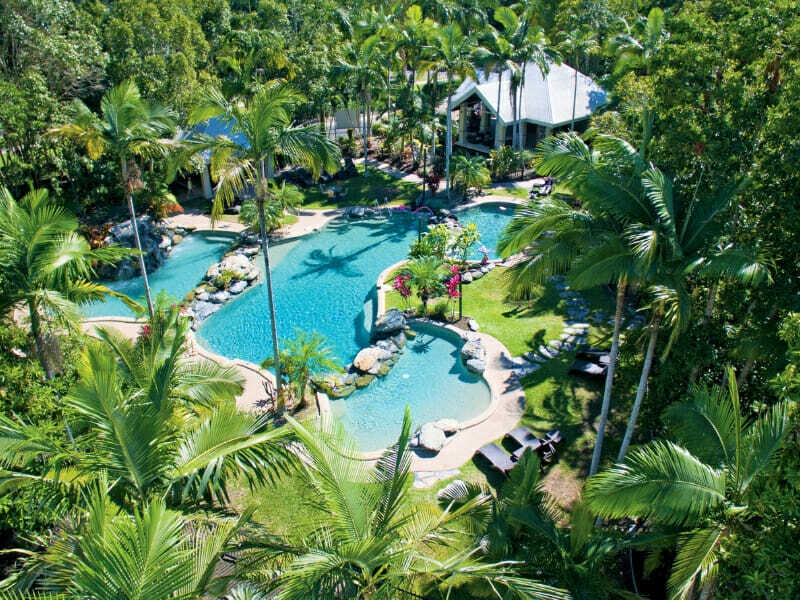 Swimming in the pool, sweating it out at the gym and sipping on drinks at the Lagoon Bar is great but why not get more out of your Queensland holiday?! Do and see more with this exclusive My QLD Tour Voucher Booklet and make your time in Queensland one you will never forget! Relax and completely unwind with two $50 spa credits to use toward inhouse massage services during your stay! 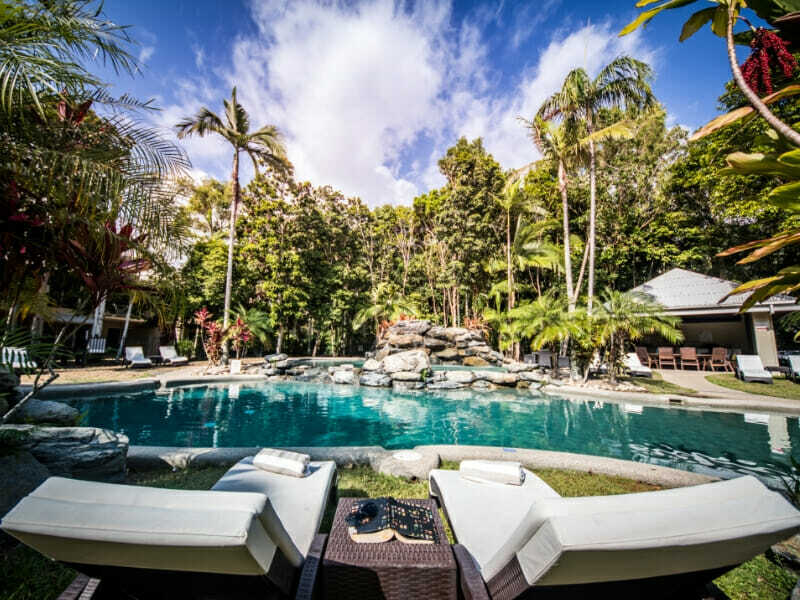 Make the most of your time in Port Douglas with this once in a lifetime experience! Spend a full day at the Great Barrier Reef and have a magical time coral viewing, watching the crew fish feeding and feasting on a delicious hot and cold tropical buffet lunch. Set sail to the tropical paradise of the Low Isles, an idyllic, unspoiled coral clay island. Explore the beauties of the Great Barrier Reef with this picturesque cruise, and discover the extensive marine life with snorkeling and glass bottom boat viewing. This cruise tour is the perfect way for couples or families to experience island relaxation. 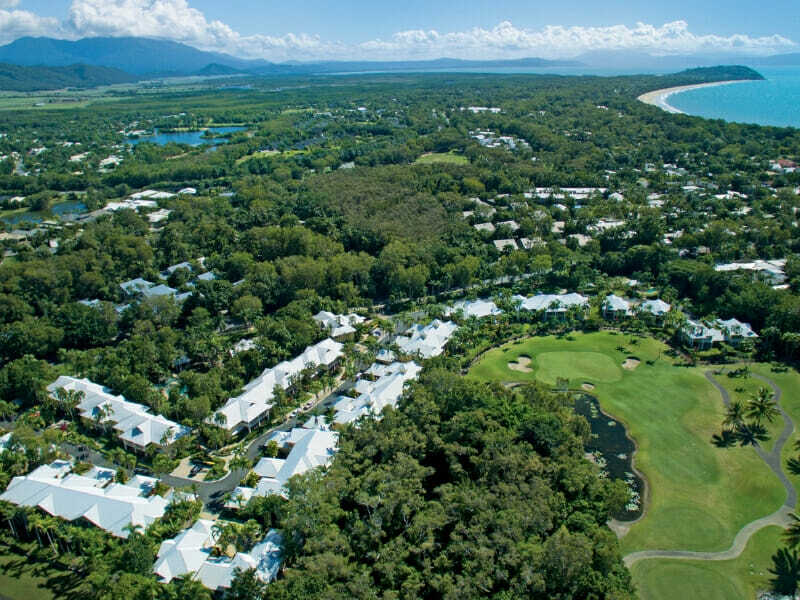 Adventure around Port Douglas & make memories that will last a lifetime with one full day bike hire for 2 guests! You’ll discover hidden gems you never would have if you were touring around on a bus! We all get a little thirsty after a flight, right? When you arrive at Paradise Links Resort Port Douglas there will be a refreshing cold bottle of sparkling wine waiting for you! Stay a little longer! There’s nothing worse than that mad rush that too often marks the end of an otherwise relaxing holiday. Take your time when you travel with My QLD Holiday! Enjoy a late check-out of 1pm, make the most of one last lazy breakfast, take a dip in the pool and pack all of your things, completely stress-free! Step out onto your private balcony and absorb the sprawling views of the lush forest and lagoon pool. 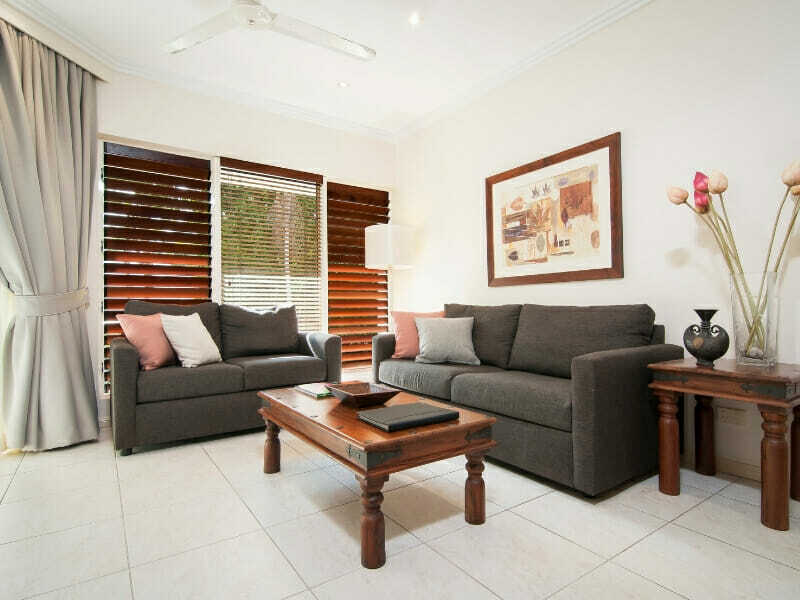 Your 1 Bedroom Apartment is fully self-contained with an equipped kitchenette, laundry, dining and lounge area, and separate bathroom and shower. Revel in air-conditioned comfort as you recline before your flat-screen TV. 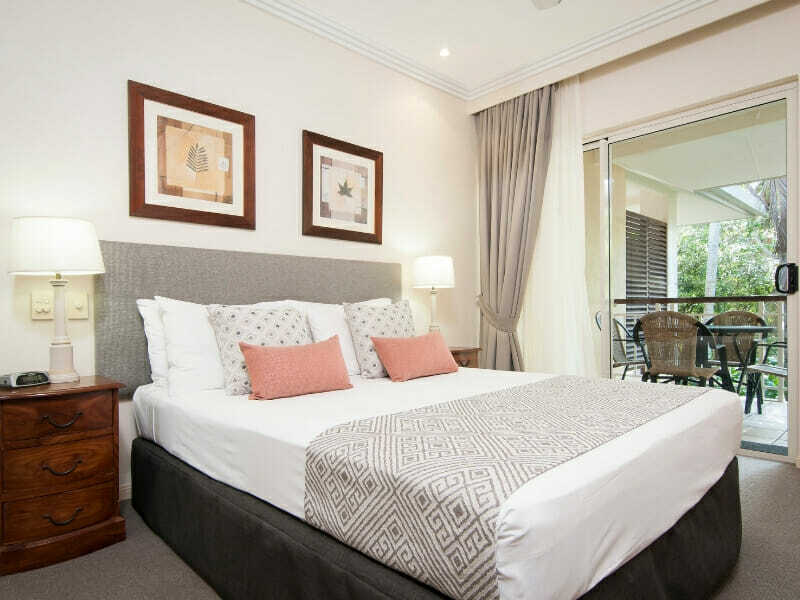 Want for nothing more when you book Paradise Links Resort’s 1 Bedroom Apartment. Relish 2-storeys contemporary luxury in your 3 Bedroom Villa. 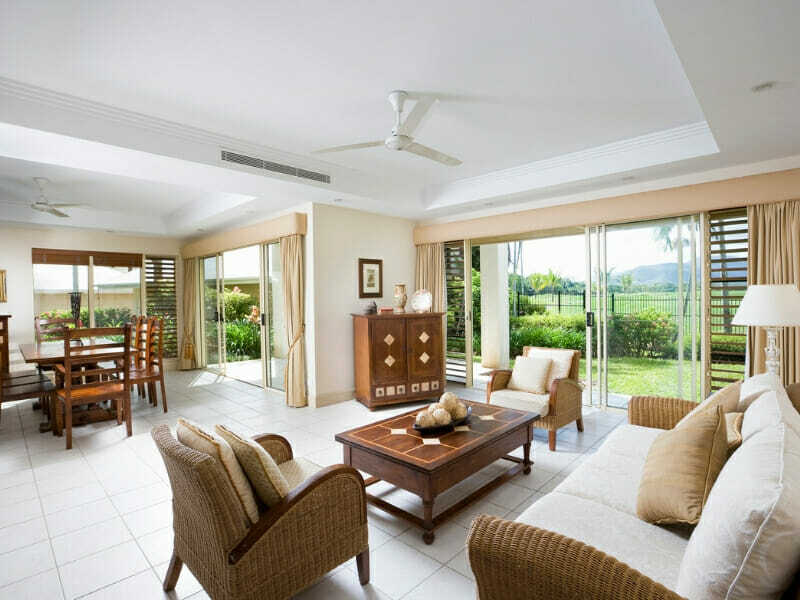 Flaunting chic décor, this accommodation spoils guests with vistas of spectacular green fairways and tropical gardens. 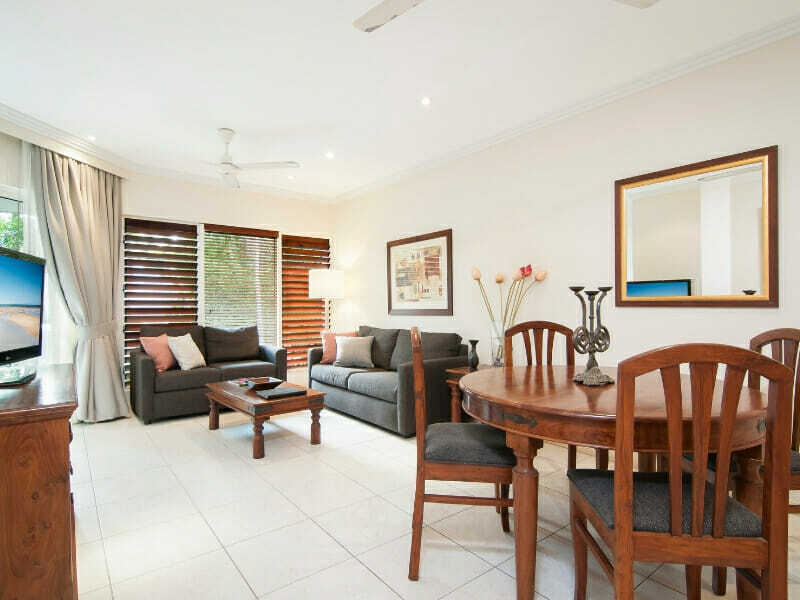 Ideal for the whole family, this private oasis is complete with lush bedding, fully self-contained amenities and an expansive balcony. 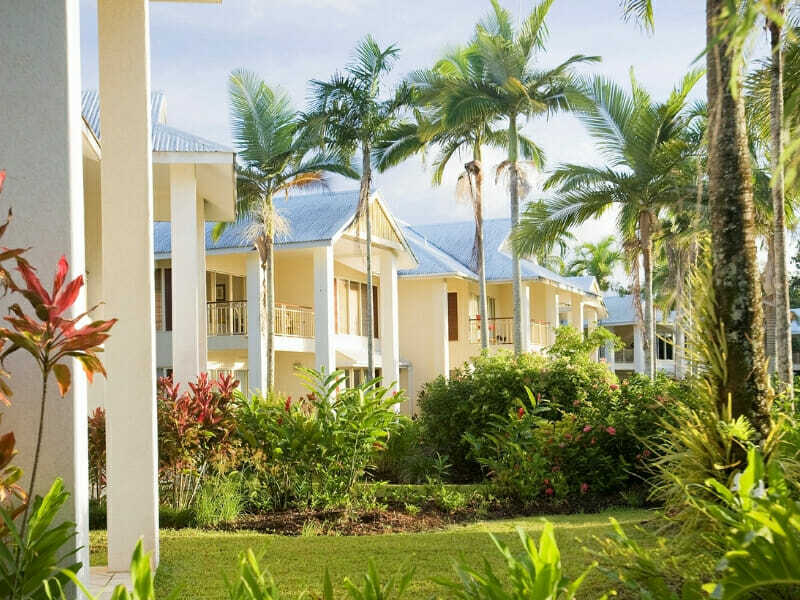 Set on 10-acres of serene forest and home to 67 stylish, self-contained apartments and villas, Paradise Links Resort is the ultimate tropical getaway. 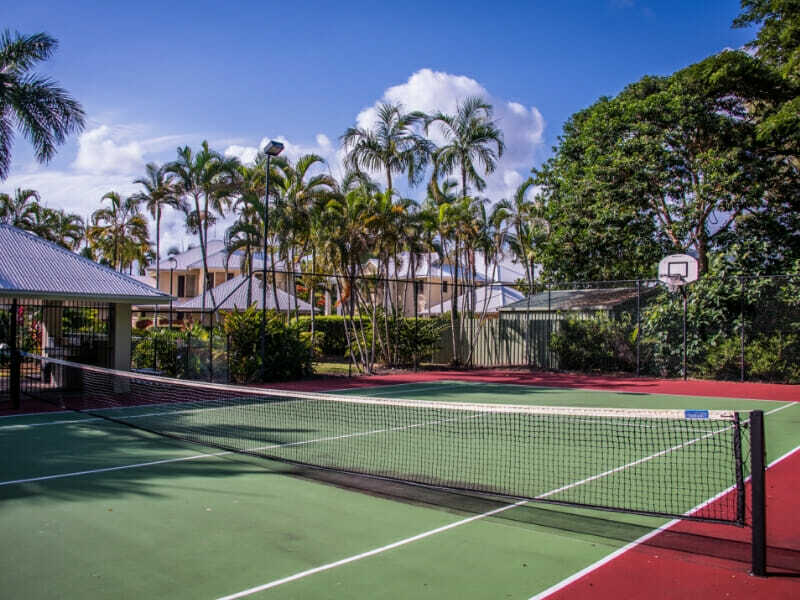 Bask by the 2 lagoon-style pools and relaxed BBQ areas, try your hand at tennis or explore the many restaurants nearby. Spend a day uncovering the striking Great Barrier Reef or world heritage listed Daintree Rainforest. You’ll never want to leave Paradise Links Resort. 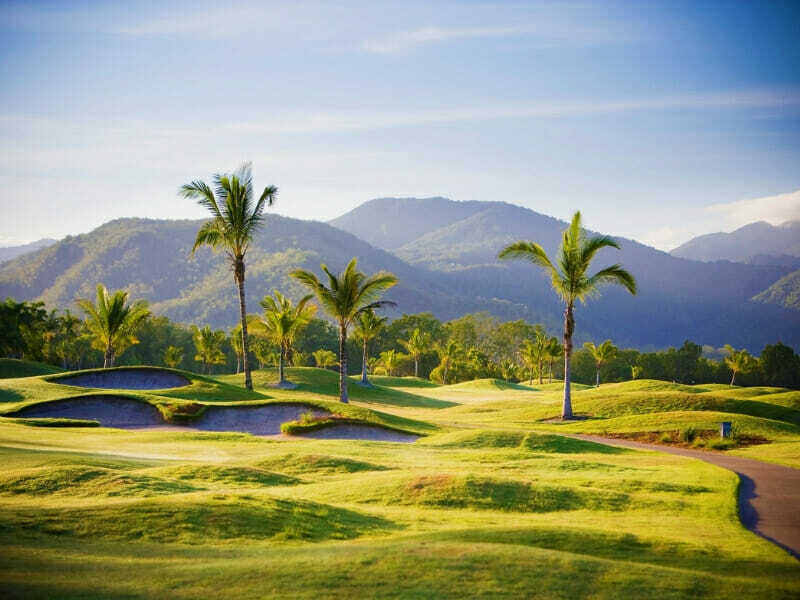 Read more about Paradise Links Resort Port Douglas here! ~*Quicksilver Outer Barrier Reef to Agincourt Reef: Outer Barrier Reef to Agincourt Reef from Reef Marina Port Douglas. To change or reconfirm your booking, please call Quicksilver Cruises on (07) 4087 2100 at least 24hours prior to departure. Includes: Morning and afternoon teas on board, reef presentation by marine biologist, hot and cold tropical buffet lunch, and all snorkelling equipment provided, qualified snorkelling safety officers on hand, underwater observatory fish & coral viewing, coral viewing by semi-submersible vessels & fish feeding is conducted by crew. Children: 4-14 years, prices as shown, 3 years and under free of charge. EMC: An Environmental Management Charge of $7.00 is levied on all adults and children entering the Great Barrier Reef Marine Park. This charge is included in the rates. A fuel surcharge may be applicable and in such cases is payable direct by passengers to Quicksilver on the day of travel. Vessels are subject to change at any time without notice. ~Wavedancer Low Isles Cruise: Set like a jewel in a Great Barrier Reef lagoon, Low Isles is an idyllic, unspoilt coral island that appeals to everyone. And why not, when this is everyone’s idea of a secluded tropical paradise! Complimentary morning tea/coffee on boarding. For your safety, hot drinks are not served once the vessel is underway. Wavedancer departs Marina Mirage for Low Isles. A snorkelling demonstration is conducted during the journey to Low Isles. Wavedancer arrives at Low Isles and your activities commence. The coral viewer and shuttle vessels leave for the island, and continue to run throughout the day. Your snorkelling equipment is available from the storage containers on the foredeck of Wavedancer. We recommend that you conduct all snorkelling from the island. The guided snorkelling tour operates from the island. Introductory dives operate from the back of Wavedancer. Lunch is served aboard Wavedancer. Enjoy your tropical buffet. Bar operates throughout the day. A guided beach and heritage trail walk is conducted by a Marine Biologist. This walk departs from the shuttle boarding area on the beach. Last shuttle leaves the island to return passengers to the vessel. Afternoon tea is served. Arrival at Marina Mirage, Port Douglas. An Environmental Management Charge of $7.00 is levied on all adults and children entering the Great Barrier Reef Marine Park. This charge is included in the Rates.